Firstly we have to take a moment to appreciate this gorgeous hair color! 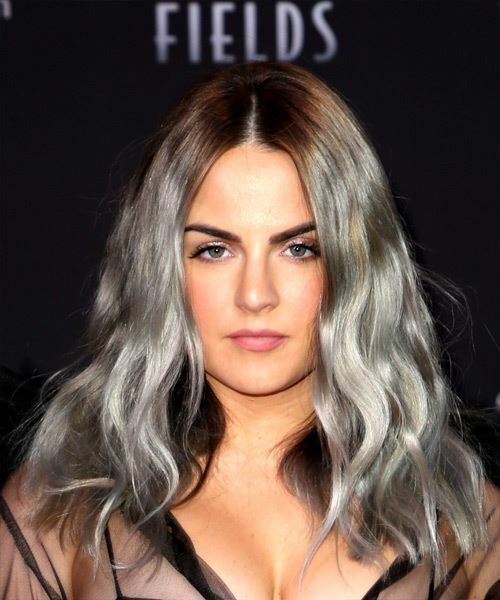 Silver is a hard color to pull off and is a color that might take a while to get the shade that you want, however, once you achieve the grey/silver tone that you love, you will not be disappointed with the results! The small curls shape her facial features nicely around the cheek, eye and chin area which really exaggerates her already stunning features. This look will not go well with glasses unfortunately which means that you should try and wear contact lenses if you want to have this hairstyle. You are going to need to color your roots once every 6 weeks or so in order to keep the color looking fresh and clean at all times. A bit of mousse will be needed to keep the locks in place but other than that, this hairstyle does not need a lot of upkeep.